Welcome! Bienvenue! Bem-vindo! 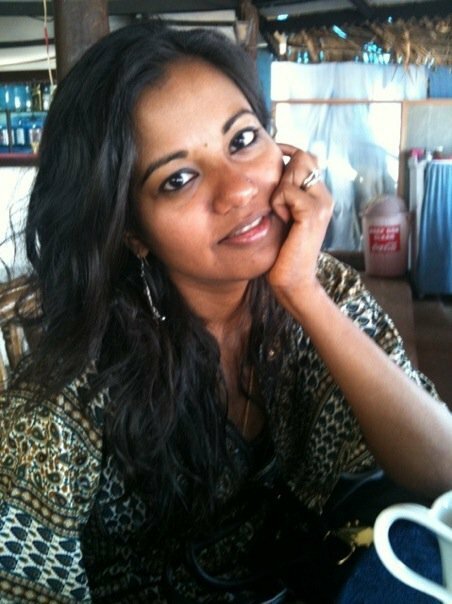 My name is Ramya, otherwise known as The Mistress of Spices. Born in Chennai, India, I grew up in the suburbs of Dallas, Texas and then studied and worked in Washington DC and Boston. Following a few years of work in different parts of Africa (Uganda, Senegal, Malawi and Guinea), I lived in Paris for almost 6 years, enjoying all that France and the European life had to offer. It was in Paris that I met my wonderful husband Luis (who is from the Azores Islands of Portugal and the Cape Verde Islands) and started this blog, which is as much a testament to my love of food as it is to the globally nomadic path of my life. At the beginning of 2012, Luis and I moved to Bangkok, Thailand and in late 2014, we had a little boy (Rohan). The food culture here is amazing as you can imagine, and we have been thoroughly enjoying exploring it! I couldn't think of a better place for the next chapter of our lives to unfold than in this sweltering, spicy city! As long as I can remember, I have been passionate about food and cooking. Ever since learning the basics of South Indian cuisine from my mother and other family members, I have been an avid cook. Nothing gives me more pleasure than inviting friends over for dinner, concocting the perfect menu for the occasion, searching for the best ingredients, grinding up spices and whipping it all up. I collect cookbooks, subscribe to several cooking magazines, read culinary blogs religiously and love food-related TV programs. While I adore my "day job" working on supporting education initiatives in the developing world, I often daydream of making a career shift to the culinary world. A few years ago, I made a very amateurish step in this direction by launching a little catering company in Washington DC (where I was living at the time) called Rice and Spice. While this endeavor was not meant to be at the time, I am continuing to cook up a storm here in Paris, which as you can imagine is a food lover's paradise! This blog celebrates that realm as well as the adventure of exploring our beautiful world and the simple pleasures of cooking. By describing my travels as well as my discoveries right here in Bangkok and sharing how these influence what I cook, I hope to speak to all those who, like me, are nomads, endlessly seeking and creating themselves. The recipes presented often represent a fusion of different corners of the globe - a fusion that is sometimes intentional, sometimes born of necessity, but one that is always, always spicy! So welcome, get out your mortal and pestle and spice box and enjoy your visit! I encourage you to leave comments, connect with me via email, like my Facebook page, follow me on Twitter or subscribe to my RSS feed. Happy & spicy cooking (and eating)! P.S. Here are some questions that I am frequently asked, with the answers! Do you speak French? Parlez-vous français? Oui, heureusement! I credit this to excellent French teachers in middle and high school as well as the time I spent working in Francophone Africa (Senegal and Guinea). And of course 6 years of living in Paris didn't hurt either. As it is, my hubby and I speak a mix of French, English AND Portuguese at home! 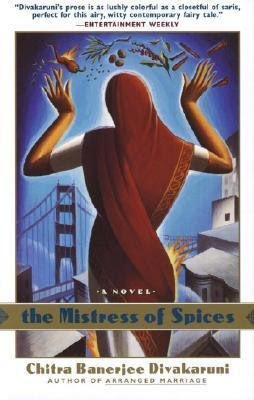 Is there a French version of 'The Mistress of Spices'? Existe-il une version française de 'La Maitresse des Epices'? Malheureusement, pas encore! Je compte créer une version française petit à petit. Are you vegetarian? Most of the dishes and recipes on your blog seem to be vegetarian. Absolutely! I've been a vegetarian since age 12, when I decided that I didn't like the taste and texture of meat and fish. I'm definitely not a vegan though, as I could never give up cheese and ice cream! That being said, I appreciate all culinary regimes and see my vegetarianism as very much a personal choice. This is why I will, on occasion, blog about a dish, restaurant or other culinary experience featuring meat. Even if I am not taste testing it myself, I am surrounded by a reliable team of meat eaters (led by my husband!) who never refrain from sharing their thoughts. Can you recommend a good Indian restaurant in Paris? As mentioned here, I think that Indian food is pretty hard to come by in Paris and in France in general. There are many reasons for this, but in essence, I think that good and authentic "ethnic" food in general is hard to find here, with the exception of cuisines from countries with a strong colonial link to France, such as those in North and West Africa, the French Caribbean and Vietnam. Outside of these cuisines, Indian and other "ethnic" restaurants here tend to lack in imagination and majorly adapt their dishes to the French palate. That being said, there are a couple of simple and authentic Indian restaurants in the Little India/Little Sri Lanka area of Paris, that is in the 10th arrondissement between the Gare du Nord and La Chappelle metros. My favorite in this area is Saravana Bhavan (170, rue du Faubourg Saint Denis, 10e), part of a large, famous chain of South Indian vegetarian restaurants. Read my review of Saravana Bhavan here! Where can you buy Indian groceries and spices in Paris? Again, the Little India/Little Sri Lanka area in the 10th arrondissement between the Gare du Nord and La Chappelle metros is the place to go! A trip to this neighborhood will guarantee you un dépaysement total, as the French would say. You can pick up any manner of South Asian spices and foodstuffs, have a good meal and a great mango lassi or Madras coffee, buy fresh jasmine for your hair, get henna applied to your hands or an eyebrow threading, pick up the latest Bollywood DVDs and CDs, you name it! To get here, take the Metro to either Gare du Nord (lines 4 or 5 of the Metro, lines B, D or E of the RER) and take the Faubourg Saint Denis exit or La Chappelle (line 2). My favorite stores in this area are V.S. Cash and Carry (197 rue du Faubourg Saint Denis, 10e) and G. and Co (72, rue Louis Blanc, 10e). Another good area for South Asian groceries is around the Passage Brady, also in the 10th arrondissement. 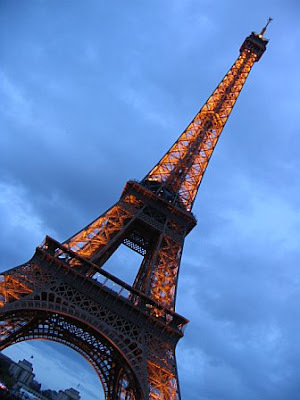 What are your favorite restaurants in Paris? Can you recommend any good restaurants in Paris?